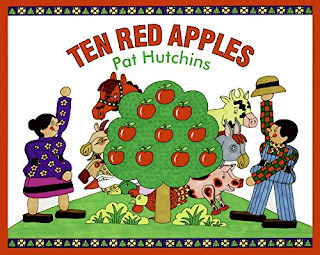 It's Apple Week for our Weekly Virtual Book Club for Kids and we are so excited to kick off the new school year with some fun apple themed ideas! Each week this year we'll be sharing a few fun books along with some activities based on the theme for the week. You can check out all of the themes on our Weekly VBC intro post. Grab our September calendar (including Apple Week ideas) calendar with activities for free here. 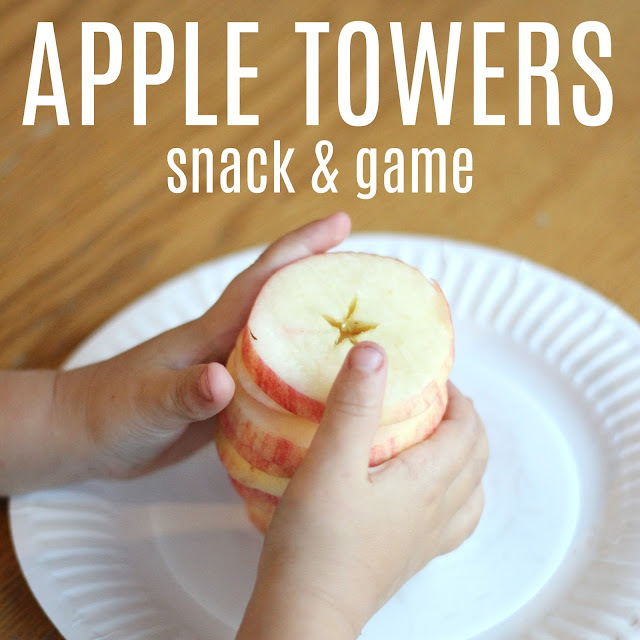 To make our apple snack and play our apple game, here's what you need! 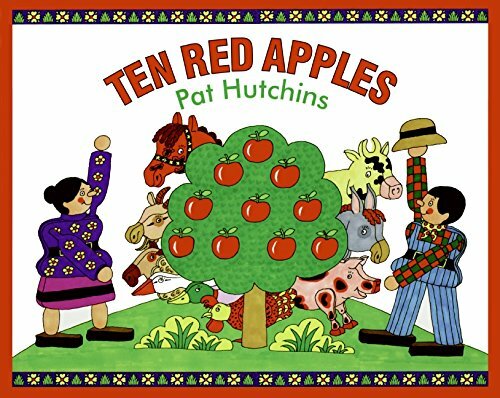 Before you get started playing, grab 10 Red Apples by Pat Hutchins to read together. The goal of the apple stack game is to see who can make the tallest stack of apples without them falling over. You need to prep ahead and cut a lot of apples. We sliced our apples across into thin slices versus the usual apple wedges we make. Pile the apples high and see how far you can build until they crash down. Some people hate when kids play with their food. I call it a sensory experience and as long as they aren't doing it in public at a fancy dinner or when we are supposed to be eating as family or having a more formal dinner time... then it is fine with me if they play with their food. Once kids built towers for awhile, then we grabbed some peanut butter (or sun butter if anyone has allergies) and made apple sandwiches. For kids that wanted to, they added toppings like chocolate chips and caramel or raisins. Preschoolers and even older toddlers LOVE to use a dull knife and spread on their own peanut butter. It is usually the highlight of their day... or even their month to get to do that... so give them a chance! 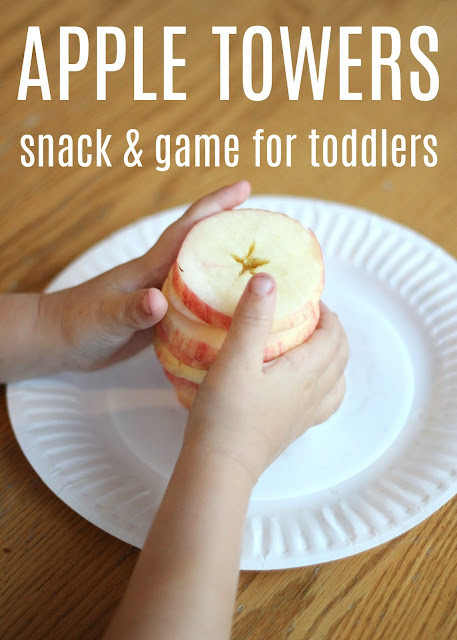 Have you ever tried stacking apple slices? Have any other favorite apple snacks? You can find some of our favorite apple crafts and activities HERE. NEED SOME MORE APPLE THEMED ACTIVITIES? What a fabulous fine motor "cooking" activity! Our kids are always motivated by snacks!